I needed new pet eye defaults for my game, so I edited existing defaults (made by Moonlitowls at Garden of Shadows ) to make them more natural and less sparkly. Remember that you can have only one defaults for pet eyes in your game. You can find Nilou's Onomatopea eyes at her LJ: HERE . Her generous policies can be found HERE . 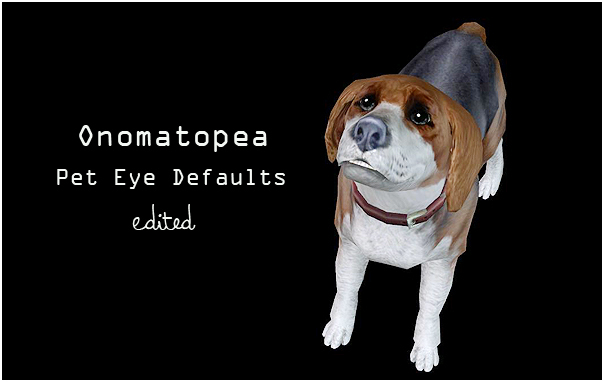 More pet default replacement eyes! !